I’m mixing up my workout schedule and also the title of this weekly post! 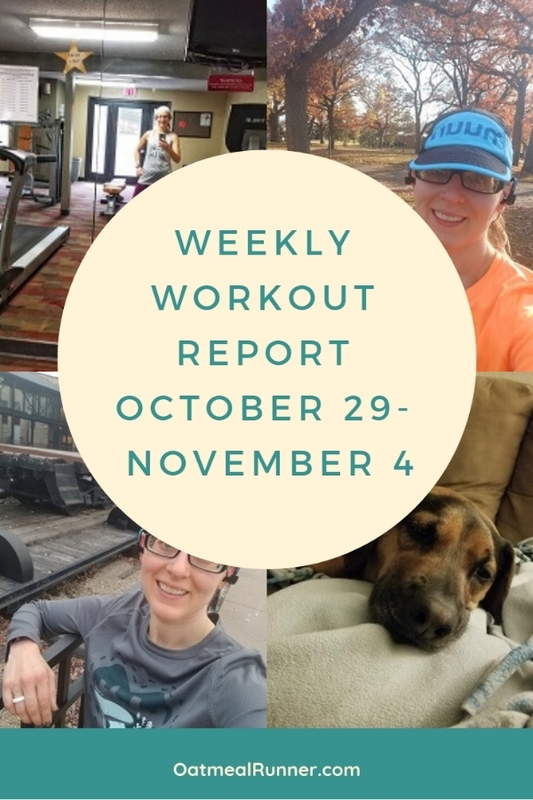 Since I’m doing two strength training workouts each week, it only seems fair to change it from the weekly running report to weekly workout report. So let’s get into this week of starting a new workout schedule and also the first snowfall! Weights and spin class felt so great this morning and I made sure to get in some good stretching after. I swear spin class is so much tougher when there are new people in class (or else the instructor isn't letting me slide when knows I can push a little bit anymore). A rainy tempo run but it was still faster than my last tempo run! I'm pretty sure the combination of cold and rain had something to do with my speed. I didn’t think that the rain looked too bad when I got home from work but it felt a lot colder than i expected. Drizzling run on sore legs (mostly my calves). Which has become a theme in the last month. So, I'm taking out my Thursday run and adding in a second strength training and easy cardio day instead! It’s also because I’ve been enjoying my strength training so much more lately and it’s just as enjoyable (or maybe a little bit more) as going out for an easy three miles. Best part of working from home is a lunchtime workout! 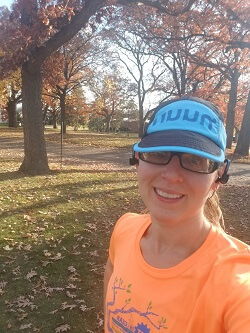 I've switched out my Thursday easy run for a second strength training and easy cardio day which I loved doing today! Strength training was Better Basics on the NTC app and cardio was a 30 minute hill interval session on the treadmill. A quick yoga flow with a full body stretch session, followed by me playing around with boat pose. I used to struggle with this pose so much and had to always do the easy variations but now my core is strong enough that I can do a full boat pose (although I can’t hold it for long yet). I slept in this morning and it felt wonderful! But it also felt like I was running behind because I didn't get out for my run until 9. But it’s been awesome self care sleeping in and it’s just a tiny bit warmer running later in the morning. It was like running in a snow globe this morning! Although I'm not ready for it to stick around, the snow and leaves made for some gorgeous scenery. And, in case you were wondering, yes I ran in shorts. It was about 32 and shorts plus a long sleeved shirt felt perfectly comfortable as soon as my legs started moving. I also got in a five minute plank workout after my run, which makes it my third core workout this week because both of my strength training sessions include core sections. It’s getting easier to do all these plank variations as I feel my core getting stronger! Not surprisingly, my effort level was in the steady progress range which is perfect for building fitness without need extra recovery time. I was slightly lower than previous weeks, but that’s because I switched out a run day for a strength training and easy cardio day. Even though I’m working out pretty hard, it’s not working my cardio system as much as my muscular system so my heart rate isn’t high for an extended period of time. It will be exciting to see, as I get further into this new schedule, how my runs start to compare with some extra strength training behind them.